Ocular hypertension (OHT), the same as “normal-tension glaucoma,” is not a clinical entity . This term usually refers to a situation in which intraocular pressure (IOP) is consistently elevated, usually an IOP of 22 mmHg or higher on two or more occasions without glaucomatous discs or visual field abnormality . This would distinguish them from patients with “elevated” pressure and clear evidence of glaucomatous optic nerve damage . OHT is often considered the opposite end of the glaucoma spectrum to normal-tension glaucoma. OHT is a condition requiring closer observation for the potential development of glaucomatous damage. 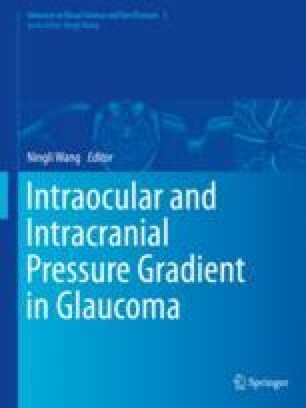 The 5-year cumulative incidence of primary open-angle glaucoma (POAG) was 9.5% in the observational ocular hypertensive group without treatment intervention .